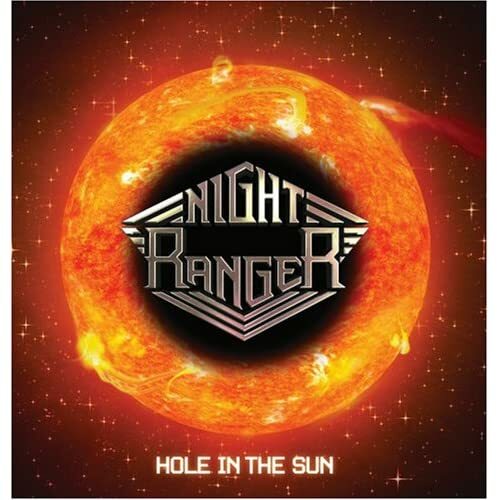 This week we featured a few songs ("You're Gonna Hear From Me," "Drama Queen," "Whatever Happened" and "White Knuckle Ride") off of Night Ranger's upcoming studio album, Hole In The Sun. Our sister site had just reviewed it (earning a 4 our of 5) and we remain excited by the production and energy of the songs that make up the disc. We talked a little about the band's history and Aaron helped us resolve the lyrical confusion behind the group's biggest hit, "Sister Christian." During the end of the show, we mentioned the new surveys that we put on the site (a short and a longer one over on the right-hand side) that will help our possible advertisers understand what kind of show this is. (We aren't urging you to be untruthful or anything but we are always looking for positive feedback.) Speaking of feedback, if you'd like to type a general review of the show for our Talkshoe page (http://www.talkshoe.com/tc/11757) just click where it says Write A Full Comment. Just like the newsletter, this show wouldn't be anywhere without you, the listener. With that in mind, we have moved the newsletter to Fridays so that you get the most up-to-date information on our Saturday recording schedule. We test that next week with a ton of news (as we will release the regular newsletter on Monday and the new Friday newsletter -- our special Independence from Mondays 4th of July newsletter -- giving us an extra 4 days of news.